Stommelen was born on July 11, 1943, in Germany. In 1968, he won his first 24 Hours of Daytona. Now known as the Rolex 24 at Daytona, the race, along with the 24 Hours of Le Mans and the 12 Hours of Sebring, is considered part of the Triple Crown of endurance racing. After his first win, Stommelen went on to triumph in the 24 Hours of Daytona in 1978, 1980 and 1982. In addition to endurance racing, Stommelen competed in Formula One throughout the 1970s, driving in 63 F1 Grand Prix races. In 1975 at the Spanish Grand Prix in Barcelona, he was involved in a tragic accident after the rear wing of his Hill GH1 came off and he crashed into barriers on the street course, killing five onlookers. 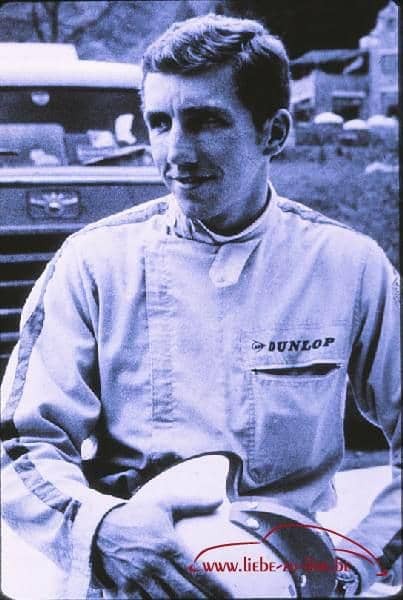 Stommelen’s next crash, at the 6 Hours of Riverside event in April 1983, would claim his life. After the rear wing of Stommelen’s Porsche 935L came off, his car hit a wall, flipped and caught fire. Rolf Stommelen, was one of the best race car drivers of the ’60s and ’70s, He won the Daytona 4 times and the pole position for the 1969 Le Mans in a Porsche 917, during which he became the first person to reach speeds exceeding 350 km/h. In 1970, he made his Formula One debut with Brabham and raced both sportscars and F1 throughout the 1970s. In 1976 Stommelen had the honor to drive the maiden race of the Porsche 936 at the 300 km Nürburgring race. With a black body and without the air-intake, the 936 of this race became known as the black widow. He qualified second, between the factory Renault Alpine A442 of Patrick Depailler and Jean-Pierre Jabouille on first and third. The Renault team was eager to win at Porsche’s home soil. On the racing day in hard rain, Stommelen managed to overtake the Renault in front right after the start. Now in the lead, he rushed towards the Nordkehre, braked and let deliberately room for the Renaults in pursuit to overtake. The Renaults, wanting to take back the lead after 2 of 300 km, rushed past Stommelen into the water puddles and crashed into the catch-fences in tandem, with Stommelen taking back the lead again. This led to the saying “On the Nordschleife, you can never brake later than Rolf Stommelen!”. After the sixth lap, the throttle cable of the 936 stuck in the “open” position. But instead of giving up, Stommelen continued the race by turning off the master switch at the bends to brake, and turning on the master switch again after the bends to accelerate throughout the rest of the race, mastering an unbelievable second place at the end of the race. In ‘Der Rolf’, a book by Michael Berndt, Erich Kahnt and Ferdi Kräling you can read more about this great German driver.